Now having entered the world of print on demand (POD) with my current stock of fine art photography, I thought it might be a good idea to pass on some educational information about the methods used to reproduce my work. In this article, I'll give you some basic insights into Giclée prints for fine art digital print making. Giclée is a general term that describes fine art quality digital inkjet printing. With a higher degree of resolution in CMYK color, Giclée often uses multiple color combinations beyond the standard four colors to reach a higher degree of tonal quality. In addition, these inks are often referred to as archival inks. Due to their pigment base they offer fade resistance when coupled with acid free archival paper. Furthermore, with the use of large-format printers it's possible to print high-quality reproductions on a range of different textured surfaces including photo-paper, art-papers and vinyl, etc. A Giclée print is of a superior quality when compared to a standard Bubble Jet printer, and often comes at a higher cost. Nevertheless, this premium is reflected in the quality of the print, where the print will have a life expectancy of 100+ years, while retaining its luster and finish. Archival quality prints are as good as art, as they have the ability to take the artists hours of hard work in the digital environment and present them at museum quality, in hard copy. 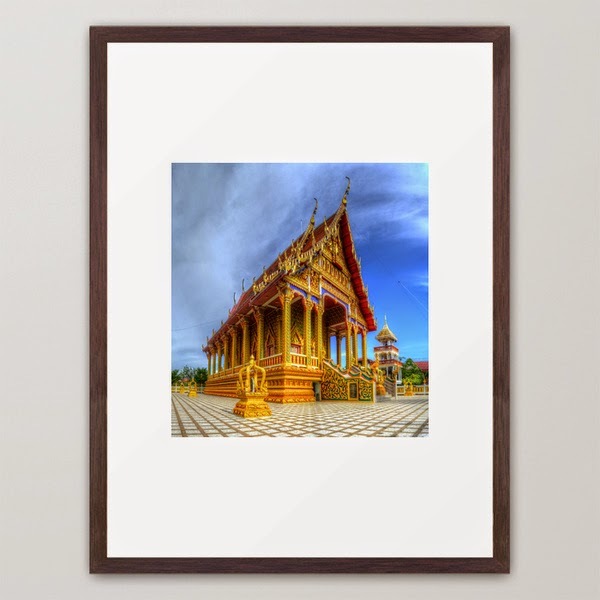 If you enjoyed this insight into Giclée prints for digital artists, please visit my online store at Urbex :: Siam, where you will find a range of products, quality prints and frames avalaible, with world-wide shipping.